Welcome to Ivory & Antler Outfitters, where we provide a life changing experience at a price that doesn’t break the bank. At Ivory & Antler Outfitters we understand how important it is for our clients to have the very best experience possible. The memories you make with us will last a lifetime. Our hospitality and ranch, steeped in hunting traditions, will have you coming back to visit year after year. We specialize in many big game species known to roam the mountains and plains of Colorado and Nebraska. Whether you’re chasing a spring Tom gobbling in some remote distant river bottom, a bugling Bull Elk in one of the most beautiful settings in the world, a long beamed trophy Mule Deer on the sweeping open plains, a whitetails that tip the scales at 300 lbs and has the antlers to match, staring eye to eye with a Forked Pronghorn Buck in open sage country, pursuing a Monster Bull Shiras Moose or a color phase Black Bear in a setting where you're eye to eye and on their terms, or hiking up a steep ridge with the high peaks of the Colorado Rockies as your backdrop with the sounds of hounds baying a sure footed pumpkin headed old Mountain Lion, we offer the perfect hunting experience for you! 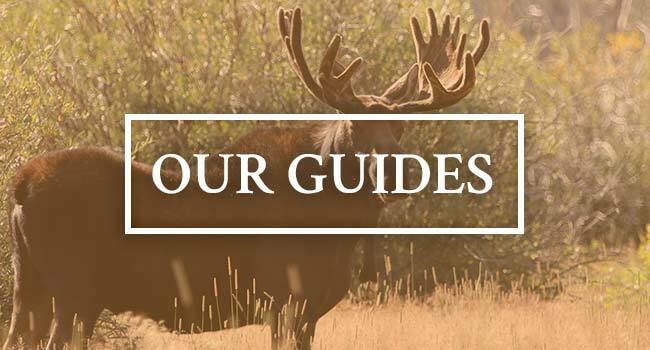 With over 30 years of collective experience our guides are ready to take you out on whatever adventure you desire, they have the experience and knowledge to show you things about our ranches many humans never get to see. Our cooks make some of the best home cooked meals in Colorado, and our very comfortable lodging provides some of the best view’s money can buy, all part of your experience. We can accommodate clients of all experience levels and ages, we consistently use hunting tactics that provide for all levels of physical conditioning and we can make the experience fit just about any age or experience level. 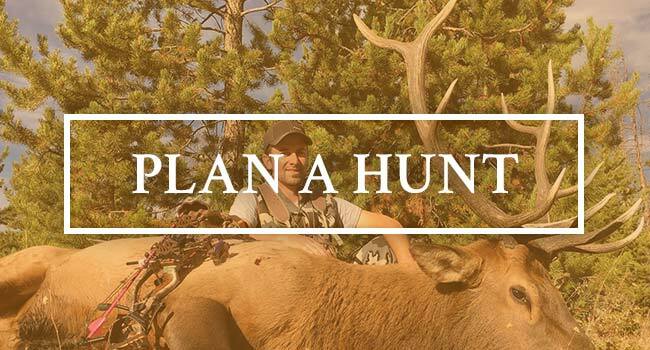 Whether we are guiding a client who is on one of their last hunts, a father and son who are after their first big game animal, or someone brand new to the sport just looking to take their health and wellness to a new level by filling their freezer with Non GMO, Wholly Organic Yummy Elk Protein; our goal is to provide the experience of a lifetime. We hunt free range big game animals between the Snowy Range of Wyoming and the Never Sommer Wilderness from which the West was formed millions of years ago. Staring at the Northwest boarder of Rocky Mountain National Park, you will know that you are hunting in a place that few dare to go, this is a memory you will take with you far beyond your days on Earth! We are blessed to live, work, and play in a place that is truly both Heaven High in the Rockies and Paradise on the Plains of Colorado & Nebraska! Come join us and take home your very own slice of this paradise. 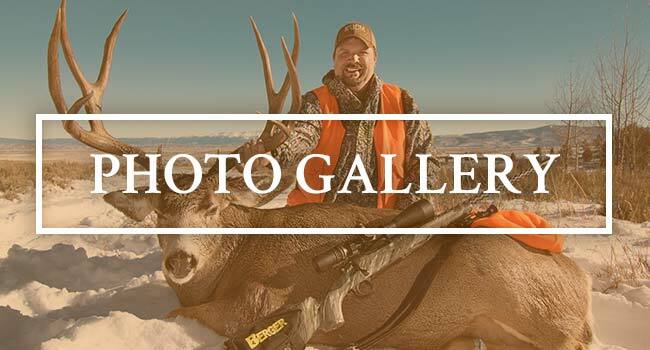 It is our mission at Ivory & Antler Outfitters to provide a life long memory at an affordable price. At Ivory & Antler Outfitters we understand how important it is for our clients to have the very best experience at a truly affordable price! Our primary focus is to give our clients a memorable experience that is top quality. The memories you make with us will last a lifetime. Our hospitality and ranch steeped in hunting traditions will have you coming back to visit again! Ivory & Antler Outfitters, LLC is an equal opportunity service provider operating under permit from Medicine Bow-Routt National Forest. Steve and I just wanted to say thank you again for the marvelous time we had elk hunting. I of course, had NO idea how things were done and wasn't sure what to expect, but it was all so much more than I could have hoped for, the bugle concert we herd the first night...seeing herds of 200 beautiful critters at a time the second day, having to sit and watch those three bulls for 45 minutes and within 52 yards on the third night and then to actually fill both of our tags on Sunday morning - totally unbelievable! We have already eaten some of the elk, definitely very tasty and we can not wait to get our hides and skulls back for the wall in our house. Wishing you both a very Merry Christmas from Wisconsin! I wanted to thank you again for our elk hunt this year. I had a great time and learned alot! Your outfitting business is Top Notch, thanks again and I hope to book a hunt with you again soon! Check out our new Trusted Partner SKRE Extreme Mountain Gear!!! !